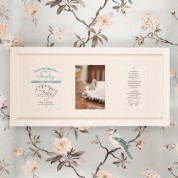 This 3 aperture frame and print is a beautiful memorial piece to remember the loss of a beloved pet cat. It features two prints on either side of the frame, with a space in the middle aperture for a photograph of your cat. 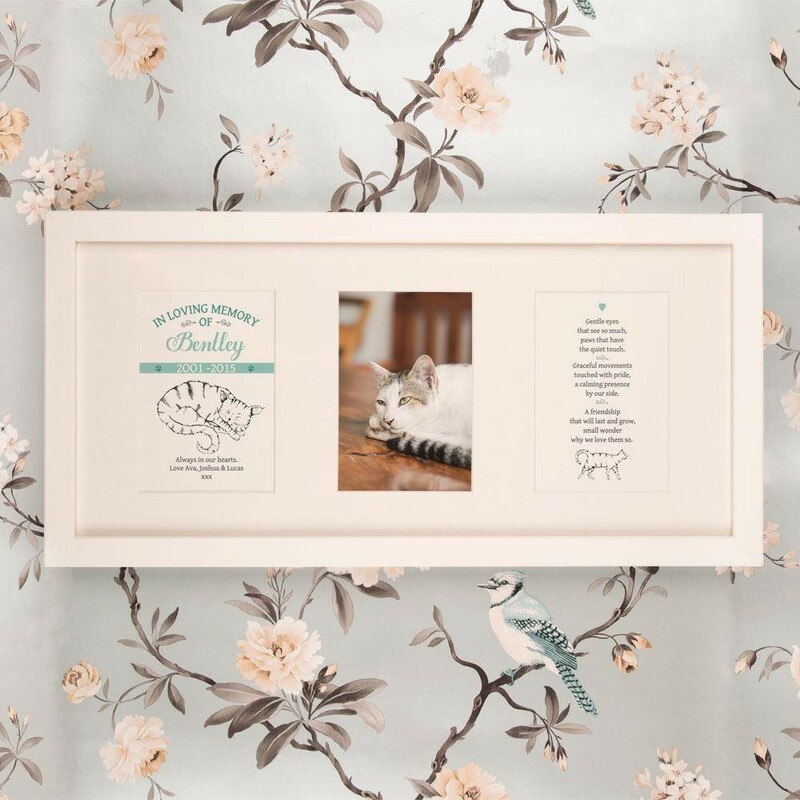 The delicate design features your cat's details alongside a cat illustration on the left side of the frame, and a thoughtful poem on the right. 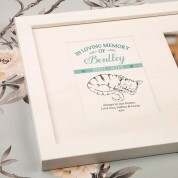 The In Loving Memory aperture is personalised with your cat's name, special dates, and a personal message of your choice. The illustration in the frame was originally hand drawn, and sits in between your dates and message. 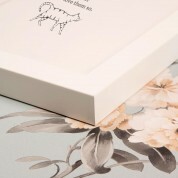 The poem in the frame is a lovely reminder of your pet, and features another hand drawn cat underneath it. The frame is custom made out of white wood, with a white mount, and wall fixing kit included. High GSM paper and a 12 colour wide format printer guarantee a premium quality print. This frame can hold a portrait photograph (4 x 6") inside. Dimensions of frame: 53cm x 26.5cm x 2.3cm. Weight of frame: approx 760g.